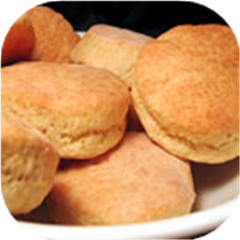 "The beer adds flavor and leavening to these biscuits." Sift together flour, baking powder, and salt. Cut in shortening until it has cornmeal consistency. Stir in beer, and knead lightly. Roll dough out to 1/2 inch thickness. Cut with biscuit cutter. Bake 10 to 12 minutes, or until golden brown.